Shopee officially launches Super Brand Day to recognise key brand partners, and provide them with exclusive marketing support to reach out to around 12 million Shopee users across the Philippines. Every installment of Super Brand Day will feature an in-app “takeover”, a revamp of the Shopee app interface to highlight one of Shopee’s leading Shopee Mall brands for 24 hours. For its debut Super Brand Day, Shopee will be partnering with leading FMCG brand, Procter & Gamble (P&G) to bring users exclusive deals and promotions across P&G’s beauty brands. At Shopee, we are always looking for ways to strengthen our brand partnerships in order to give our users access to exclusive deals and campaigns from their favourite brands. Super Brand Day was launched to not only acknowledge the support we’ve had from our key brand partners, but to also provide them with increased exposure beyond our usual campaigns. Shopee will also be providing all featured brands with exclusive marketing and operational support so that they can more effectively reach out to users across the country. 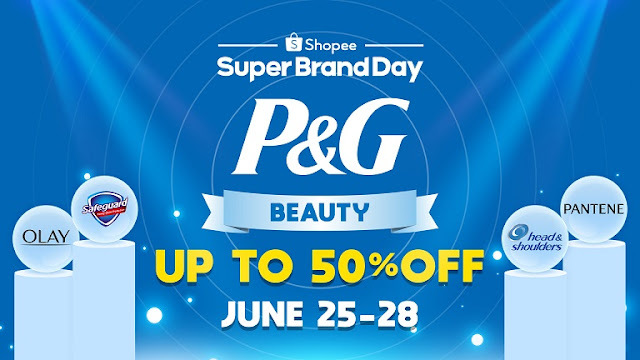 Shopee’s debut Super Brand Day with P&G kicks off on June 25 and culminate in P&G’s exclusive 24 hour in-app takeover on 28 June. Users can look forward to daily flash deals happening two times a day, and exclusive deals and bundle promotions across P&G’s beauty brands including Olay, Safeguard, Pantene, and Head and Shoulders. As an added bonus, P&G will also be offering gifts with purchases, limited to the first few thousand orders made on P&G brands. “Shopee’s first Super Brand Day also marks the start of our partnership with P&G, and we look forward to bringing users even more collaborations with P&G in the months ahead,” added Pang. For more information, visit www.shopee.ph.